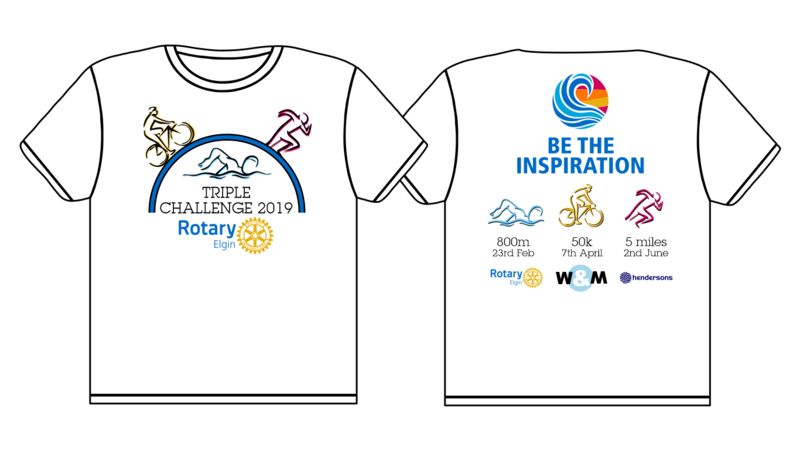 Order your Triple Challenge 2019 t-shirt here. Please note orders may take 2 weeks to complete, order in time to avoid disapointment. This t-shirt is cut to a feminine fit and crafted from a lightweight Neoteric™ fabric to wick sweat away from your skin. With a self-fabric crew neck and cap sleeves, its non-restrictive design makes it an essential for your activewear wardrobe. Crafted from a lightweight Neoteric™ fabric which wicks sweat away from the skin to ensure you stay cool and dry. With a crew neck and relaxed fit this t-shirt will take the heat off you whether you’re working out or taking part in a charity run. XS 35" S 38" M 40" L 43" XL 45" 2XL 48" 3XL 50" 4XL 53" 5XL 55"